Small Commercial - CNA | Special Feature | Community Banks | Webinars | Parting Shot | TRIVIA! Count on AIG’s world-class underwriting, financial strength, and white-glove claim service to help mitigate the complex risks of your clients' distinctive lifestyle. Technology is changing healthcare, from the advantages and risks of electronic health records to mobile devices developed for management of asthma to wearable monitors such as FitBit and Jawbone. Healthcare has unique needs and so do the offices that support them. CNA offers optional healthcare specific endorsements to their standard BOP coverage. Accounts Receivable - Covers the reconstruction of your records and reimbursement of uncollectible money from your customers due to a covered cause of loss. Black Bag - Provides coverage for direct physical loss to medical property, including mysterious disappearance, away from the described premises listed in the declarations. Business Income - Daily Limit Option - Provides an alternative valuation for short-term losses, reimbursing you for your lost time, even if clients are rescheduled. Business Income and Extra Expense - Dependent Property - Provides an additional $15,000 over the base policy in the event that your business income is reduced because of damage to a critical supplier or customer's property. Lost Key Consequential Loss - Provides up to $500 per premise for replacement of locks and keys in the event a key is accidentally lost. Unauthorized Business Credit/Debit Card Use - Provides up to $5,000 reimbursement in the event your business credit or debit cards are fraudulently used. Utility Services - Time Element - Reimburses you for your lost income during an interruption of electrical or water supply services. CNA Small Business currently offers a market for a broad variety of businesses besides Healthcare including: Financial Institutions, Professional Services, Business Services, Technology, Retail, Real Estate, Wholesalers and Manufacturing. For more information, log into www.bigimarkets.com and click on Small Commercial or contact Big "I" Markets commercial underwriter Tom Spires at tom.spires@iiaba.net or (800) 221-7917 x5470. This market is available in all states except AK, FL, HI & LA. We're proud to share some good news about an accolade our Big "I" Professional Liability partner Swiss Re Corporate Solutions has received. 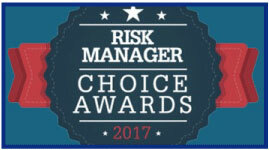 National Underwriter's at Risk Manager Choice Awards is a national survey conducted by Flaspöhler, part of NMG Consulting. It recognizes the "top" Property & Casualty carriers named by risk professionals in their efforts to mitigate exposures. Swiss Re Corporate Solutions has scored the HIGHEST on eight overarching critical factors seen as vital to risk managers. SRCS also took top honors in several individual factors including Claims Handling, Financial Value, and International Capability. Thank you to our valued partner Swiss Re Corporate Solutions and to our loyal clients for being part of our 30+ year program, the strongest and most stable in the industry. Not currently with our program? You can protect your agency and staff with an E&O policy that works as hard as you do! To learn more about the newest policy enhancements or to get a premium indication, at contact your state E&O program manager. The Byzantine Empire was the continuation of the Roman Empire in the east during Late Antiquity and the Middle Ages. The difficulties of administering an expanding empire led to a complex and opaque system of government that no one who had not grown up inside it had much hope of understanding. "Byzantine" is now a general term used to describe any overly complex system. Covering Community Banks might seem Byzantine. Unique coverages and ever-shifting regulations alone are daunting enough to scare off many agents. Fortunately for you, Travelers understands that few agents have the extensive knowledge about banks that they have accumulated so they will walk with you through the entire operation, explaining the process and details of coverages. They will even go with you to pitch the coverage to the client. You don't have to fear offering Community Bank coverage. You are not alone because Travelers is there to guide you every step of the way. 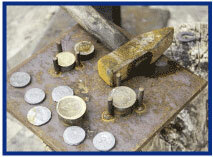 Congratulations to our agent in Massachusetts on a Small Commercial sale of $10,057 in premium!